Virgin TV Anywhere gains 11 new channels | What Hi-Fi? Virgin Media has added 11 new live channels to Virgin TV Anywhere, its cloud-based entertainment service. The new channels include ITV, ITV2, ITV 3, ITV 4, History, MTV and Nickelodeon. Subscribers can view them on computers, tablets and smartphones at no extra cost. Popular programmes available through ITV include Coronation Street, The Americans and Britain's Got Talent, while over on the History channel there's American Pickers and Mud Men. Fans of MTV and Nickelodeon can stream the likes of Geordie Shore and Sponge Bob Square Pants to their mobile devices. 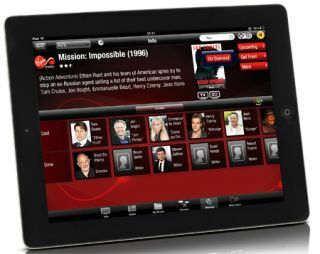 Virgin TV customers can access Virgin TV Anywhere either through the web or, if they have a Virgin Media TiVo set-top box, via the mobile or tablet app. The service enables customers to stream live TV, with available channels depending on their TV package and method of access. Virgin TV Anywhere also features up to 4000 hours of TV available to watch on demand at any time, including Sky On Demand, as well as catch-up TV from the BBC, ITV, 4oD and Demand 5. Extra features for TiVo users include the ability to remote record and manage recordings on their set-top box remotely.